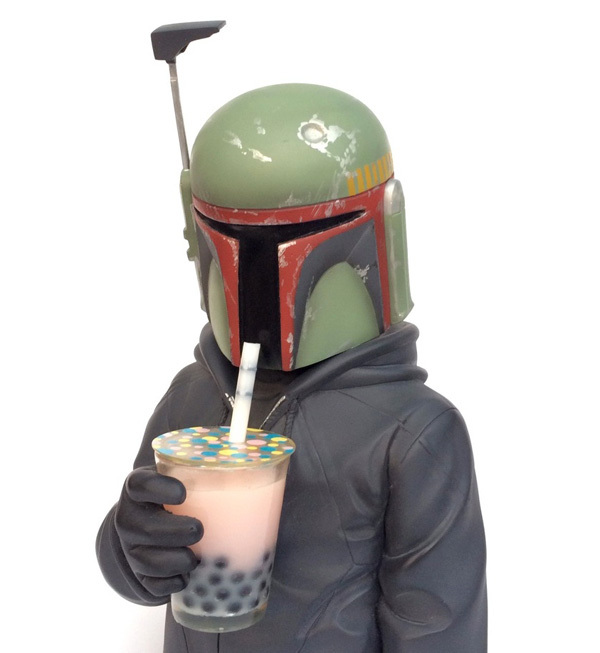 Luke Chueh initially started out by painting up a print of a thirst-quenching, tapioca-pearl drink pun of a Star Wars favorite — but it has now made its way to the Singapore Flabslab factory as a 9″ resin toy. 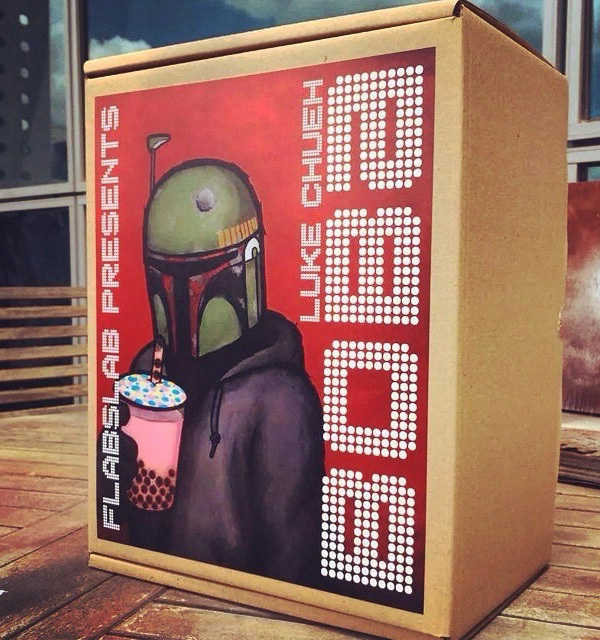 Considering that the limited-edition Boba Fett print sold out something fast, it’s no wonder that the artist not only follows up with this figure, but will be Singapore-slanging tons of promotional accompanying items (artwork, prints, stickers, and other collectables) to the 3B: Boba, Bears, and Bounty Hunters exhibit in Singapore tomorrow night, November 21st. The event begins at 8 p.m. and goes until late. Located at Flabslab: 1 Commonwealth Lane, #06-11 One Commonwealth, Singapore 149544, Republic of Singapore. 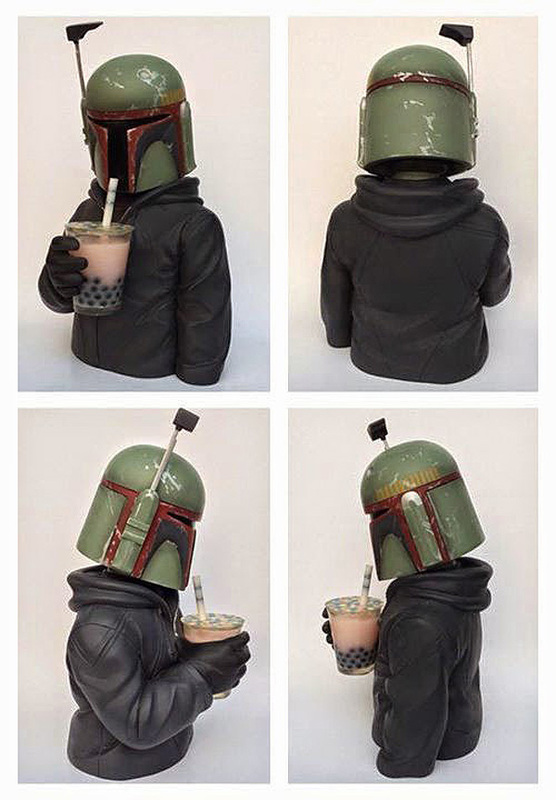 Or just get your tapioca sipping bounty hunter from your own home for $300.